How many times have you arrived at your destination only to find the wind blowing and the need to secure your Instant Canopy or umbrella? Filling weight bags with sand and dirt is messy and time consuming. Water bags need a water source, and spikes need soft ground. Impact Rubber Weights are the perfect solution to all of your location issues. Made from long lasting high density rubber, Impact Rubber Weights are carefree and will last far beyond the life of any canopy or umbrella. They can even be stacked up depending on the amount of weight (each weigh 21 pounds) required and have a handle to carry. 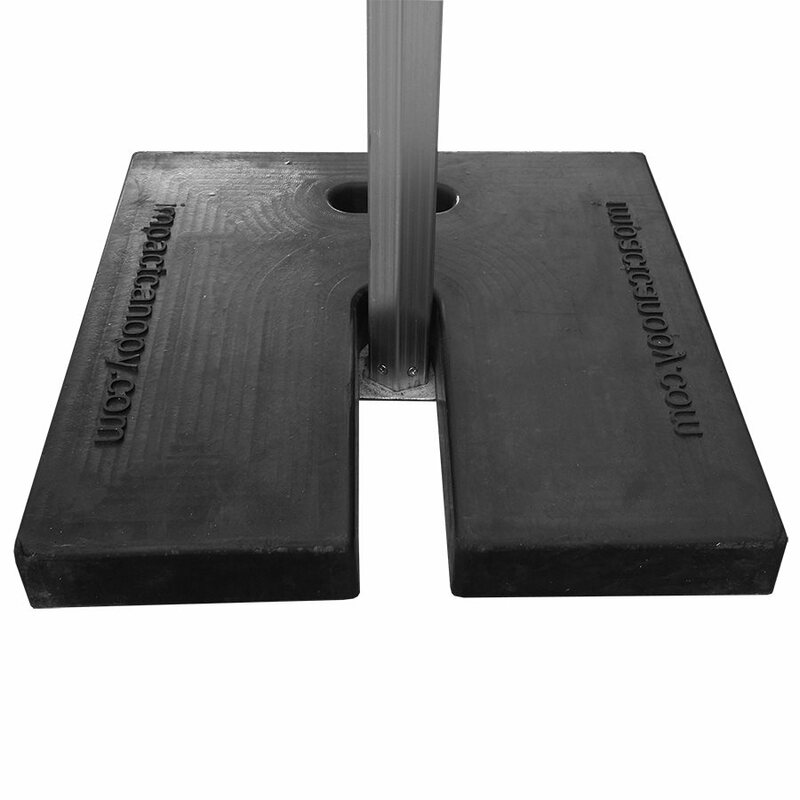 Each rubber weight plate has a large carry handle for easy installation and removal and a universal leg slot which will accommodate a variety of Instant Canopy or structure legs. Product Dimensions and weight: 17.4" x 17.4" x 2"